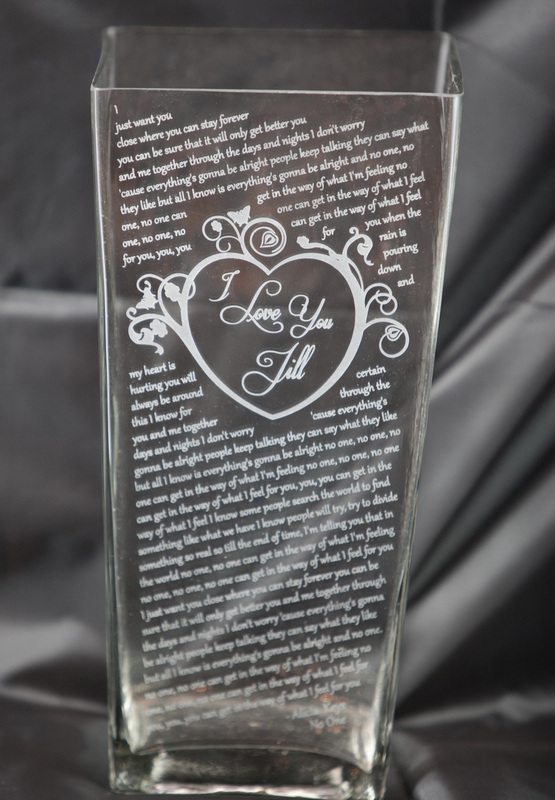 Click here to tell us the name and artist of the song lyrics you wish to have etched. 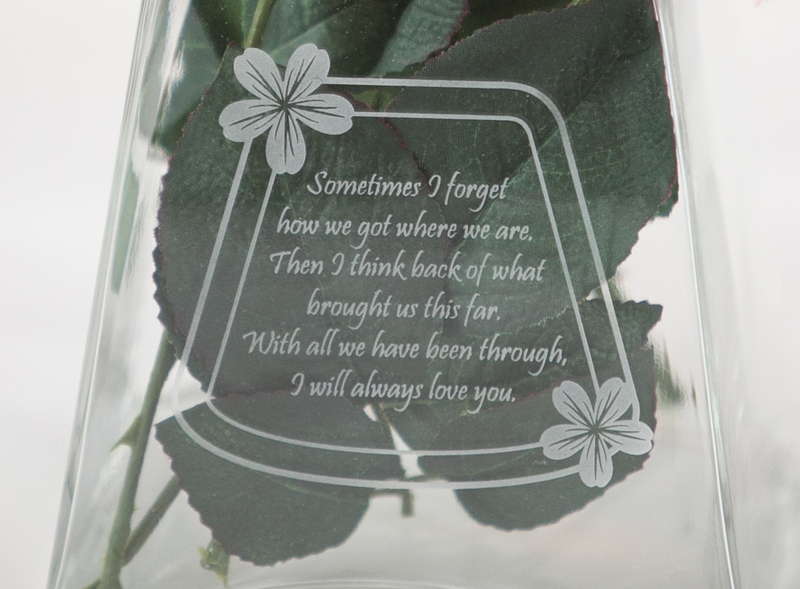 Be sure to include your companion's name also. 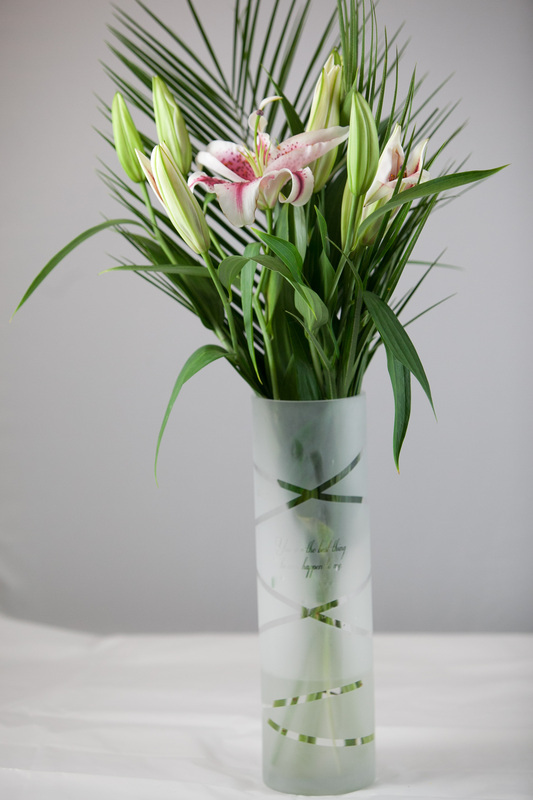 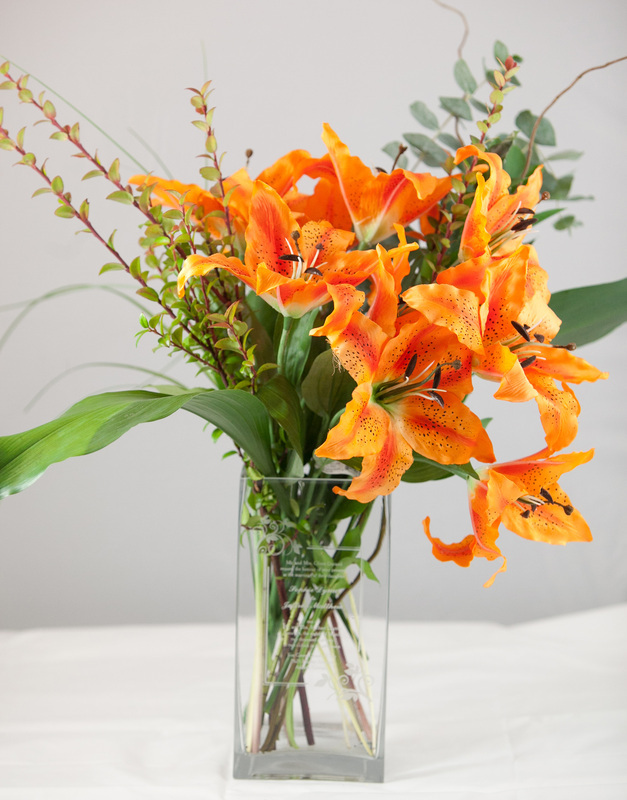 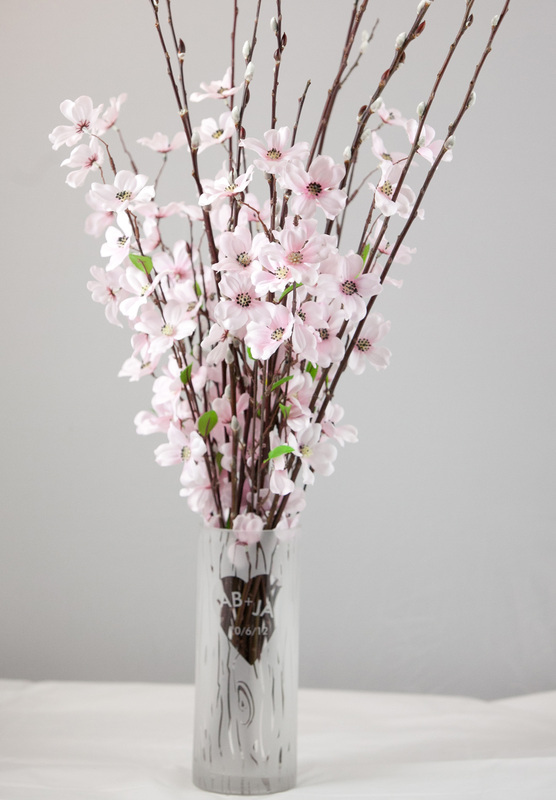 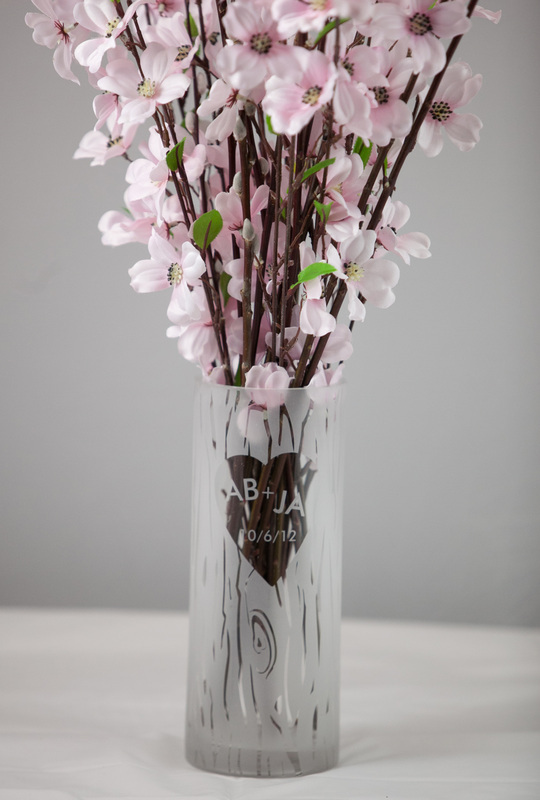 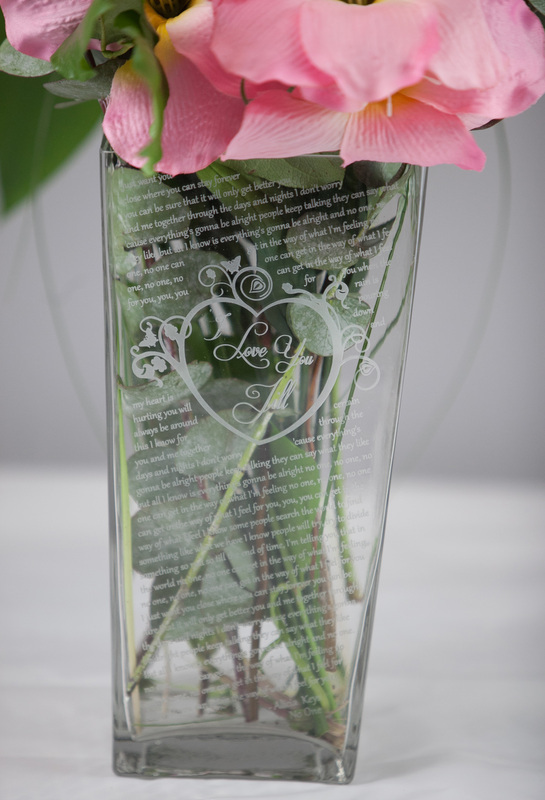 A 12 inch tall, 4 inch wide glass cylinder vase frosted with a clear ribbon design with a saying reminding her how lucky you are. 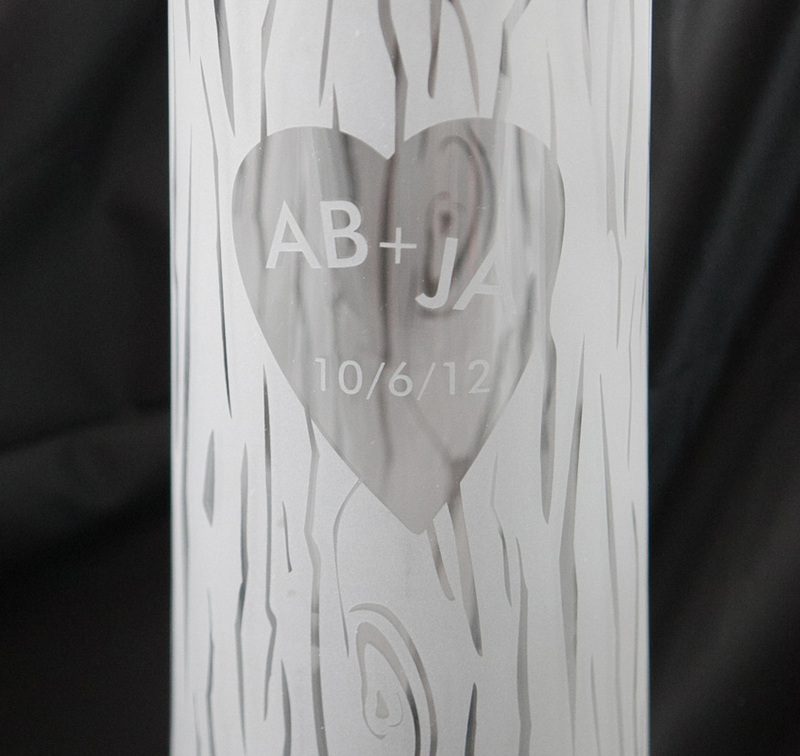 A fun representation of having your initials carved into a tree trunk within a heart etched on a 10 inch tall, 4 inch wide clear glass cylinder vase. 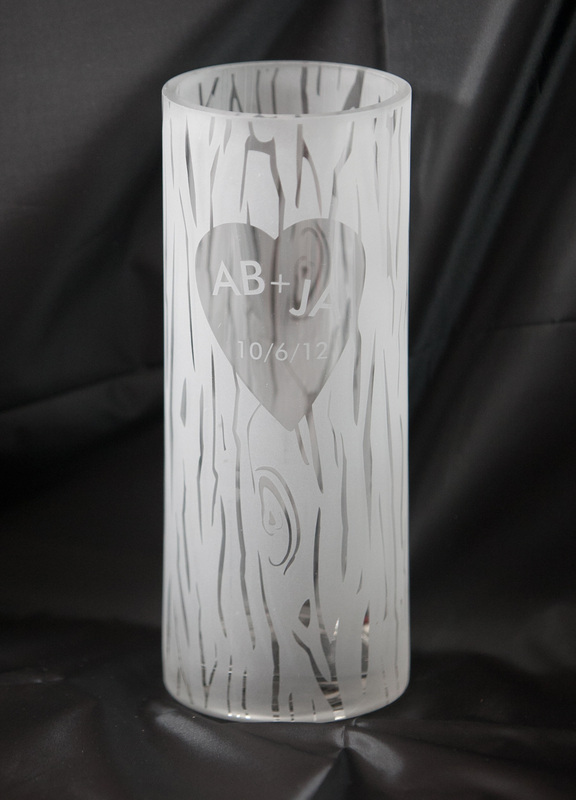 Click here to tell us your initials and date or email us after your purchase. 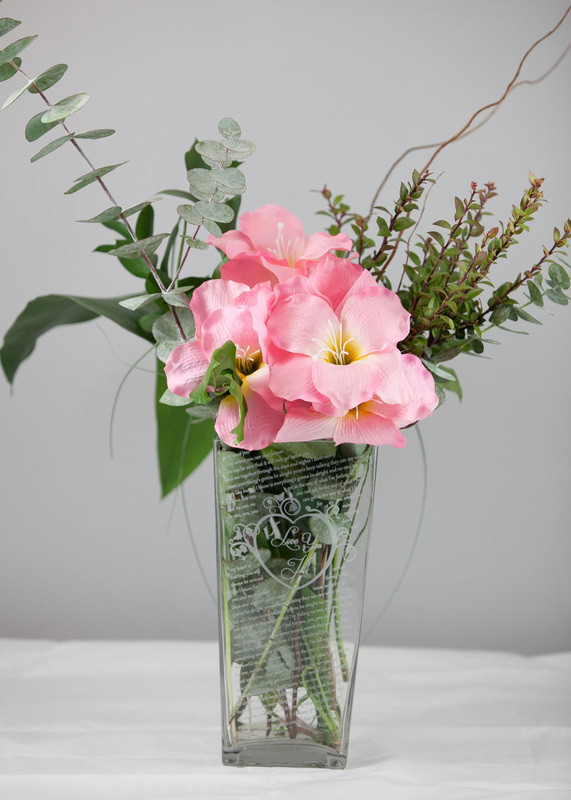 Women spend hours picking out the perfect invitation for that event they will always cherish, whether it be a wedding, engagement or shower. 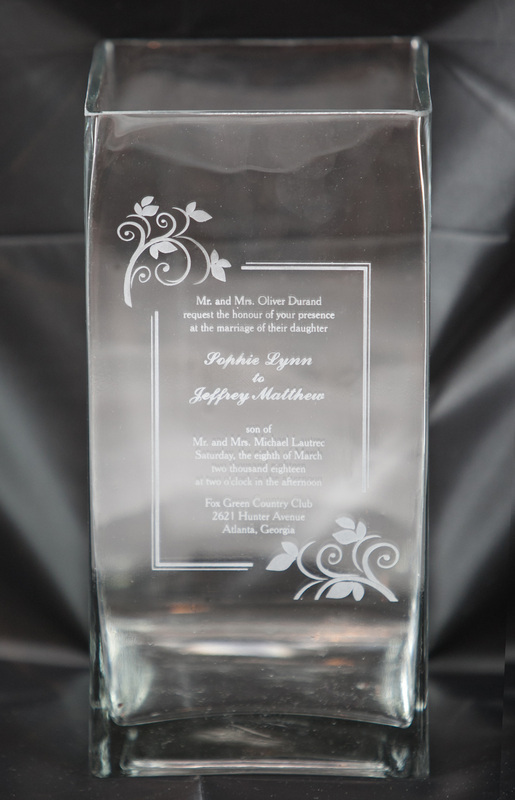 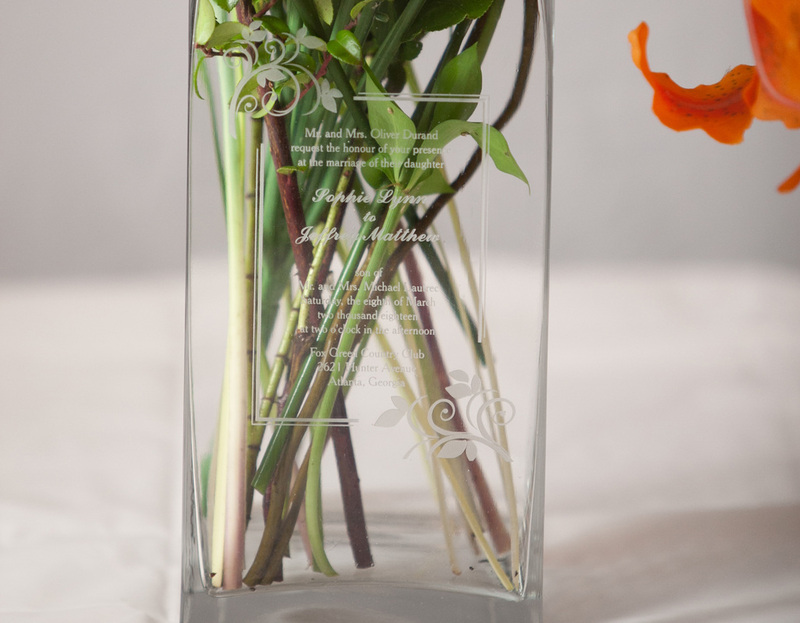 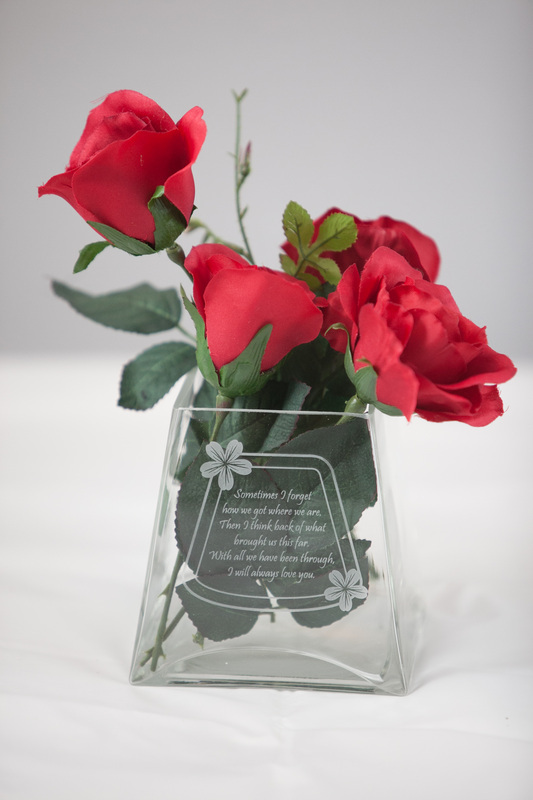 Let us preserve your invitation on a square 8 inch tall, 5 inch long, 5 inch wide clear glass vase that will always remind them of that special day. 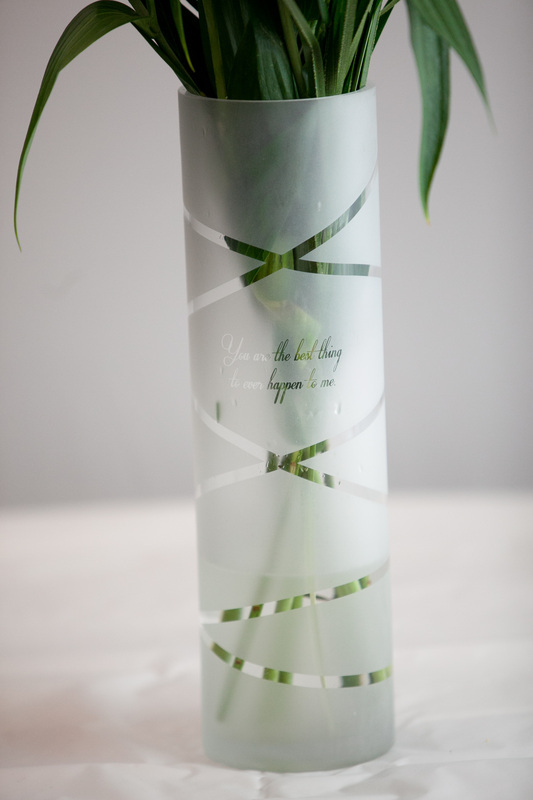 Click here to upload a picture of your invitation. 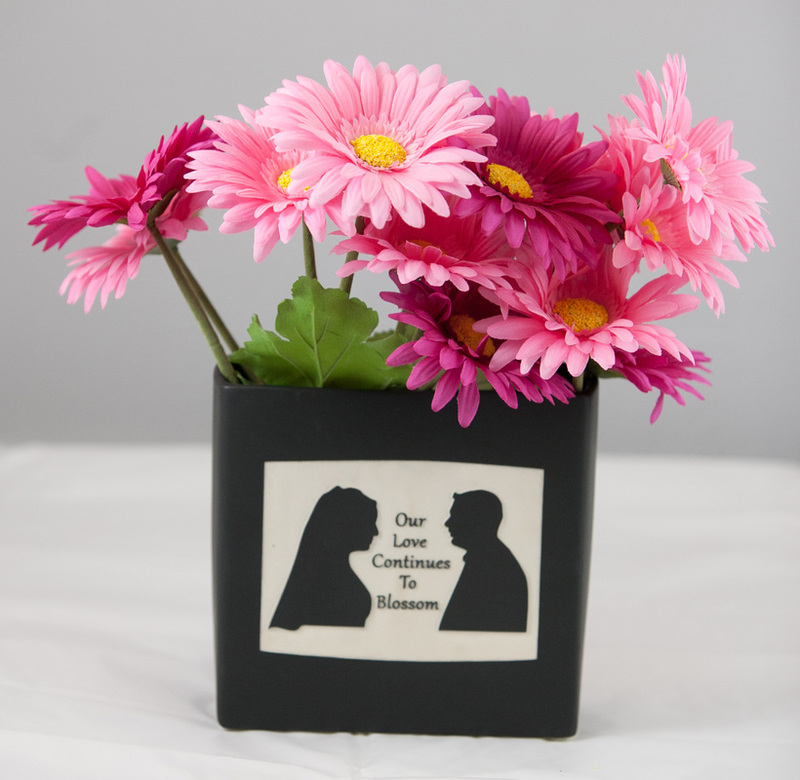 Have your side profiles engraved on this 7 inch tall, 7 inch wide, 2.5 inch long rectangular black ceramic vase with the saying “Our Love Continues to Blossom”, signifying your growing love for one another. 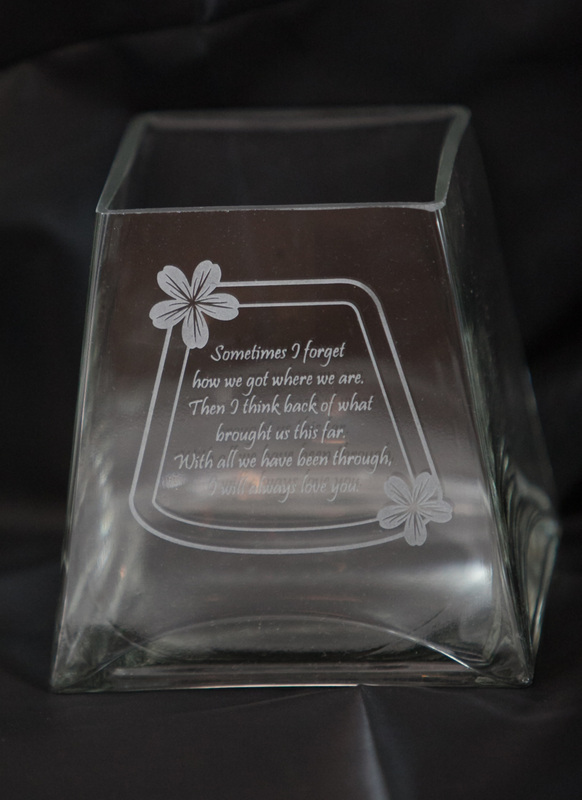 Click here to upload your profile picture and we will redraw & silhouette them.